And just like that… this relative unknown from Perth has made his chart intentions crystal clear. 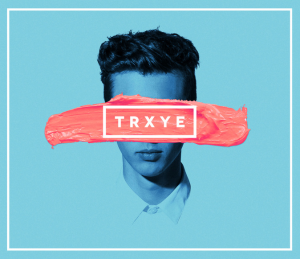 He’s only 19 years of age, but Troye Sivan is seemingly intent on conquering the Aussie charts with his debut single ‘Happy Little Pills’ and forthcoming debut EP ‘TRXYE’. ‘Happy Little Pills’ debuted on the artist’s Tumblr account last Wednesday and in that short amount of time, it’s already amassed more than 1.1 million plays. “I wrote this song during a bit of a rough time for someone super close to me, and for myself. It still means as much to me as the day I wrote it, and I’m still as in love with it as the day I wrote it, which is rare for me! !” the singer said of the track. Clearly the Aussie record-buying public agrees, with the track shooting into the iTunes top five on Friday; the EP from which it’s taken still No.1 on pre-order as of late yesterday. And that was all before EMI officially serviced the track to media yesterday. Get your own hit of ‘Happy Little Pills’ HERE or nab the EP from Friday August 15. Really? Unknown? You can’t seriously have been that lax in your research or expect people to swallow that when even the most cursory Google search will reveal that he is anything but unknown. The kid has the second most subscribed to youtube channel in the country, over a million twitter followers, close to a million facebook friends and who knows how many tumblr followers so it isn’t surprising that his track has already racked up a million odd plays when you have a fan base that big hanging on your every vlog and tweet. This isn’t a dig at him or anything but trying to play him up as some unknown just bursting onto the scene and making such a big splash is misleading at worst and lazy at best.